Above shows a shot before any top coat. I FINALLY remembered that I have matte top coat and this would be the perfect time to use it! 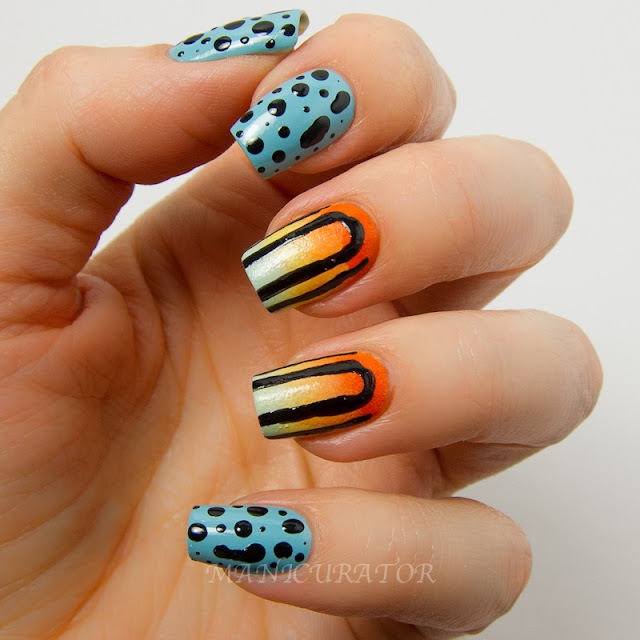 The rest of the photos show the spotted nails with Essie matte top coat. 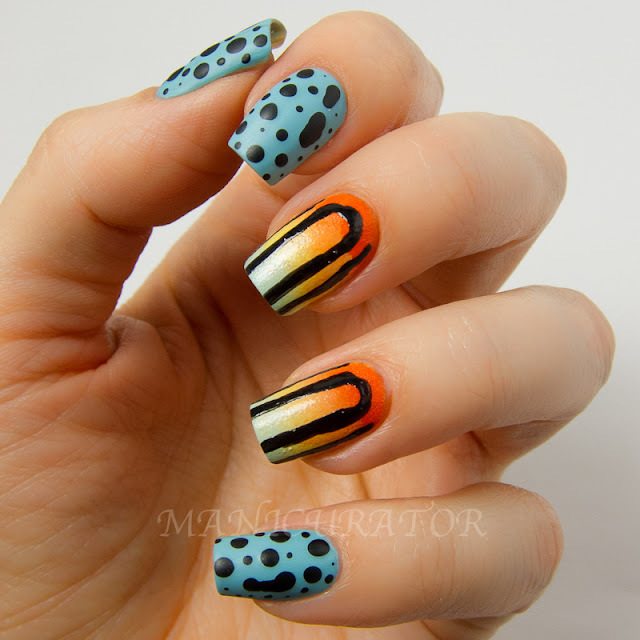 I decided to leave the gradient nails alone, as the sponge gradient texture resembled the actual frog skin a lot! 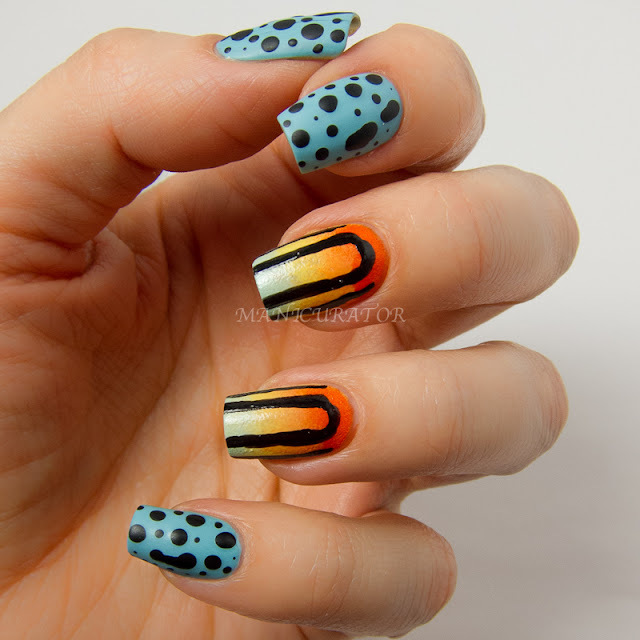 For my spotted nails I created a color by mixing the 2 Sparituals together. The gradients are The Dermelect, Born Pretty and Sparitual Delight. I love these challenges that are so broad it leaves so much for the individual to interpret. I think these turned out pretty good! Only thing I'd change up if I could would be to make the black spots larger. *Dermelect and Born Pretty polish provided for review - previously posted. Love it! I did a frog for one of my challenges way back when! 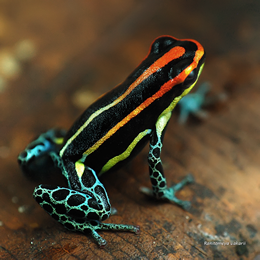 There are so many awesome, colorful frogs to use as inspiration! I love your nails and that is the coolest frog! this manicure is more meaningful when you see the frog. 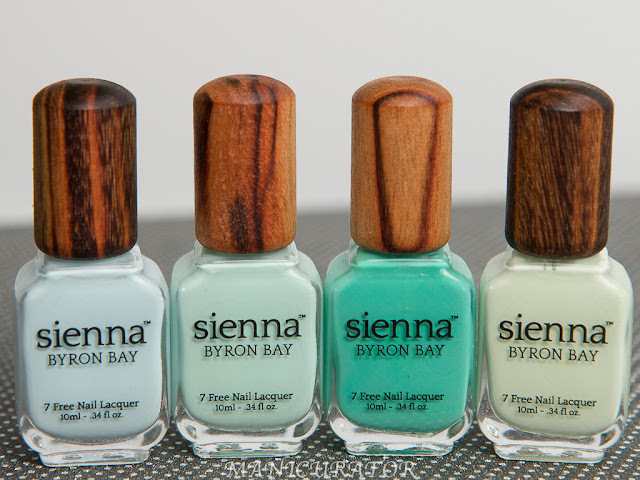 i LOVED it, and using the matte top coat was the best choice. Frogs..hmm..reminds me of something..nice job!! So cool.. 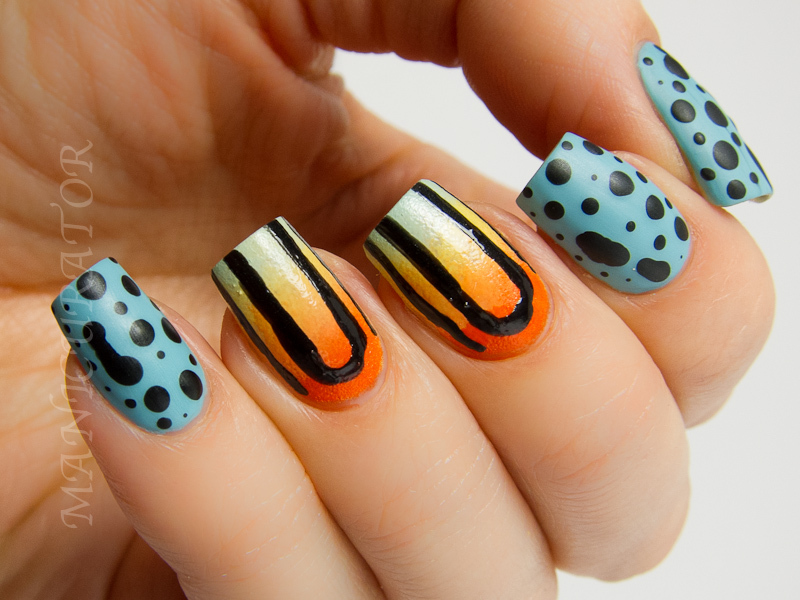 This is such a beautiful mani! It really reflects the patterns of the frog. That frog looks so cool! You nailed this, I love it!! This is genius! I think I would have known what it was even if you hadn't said, and it's STILL abstract and not too literal. 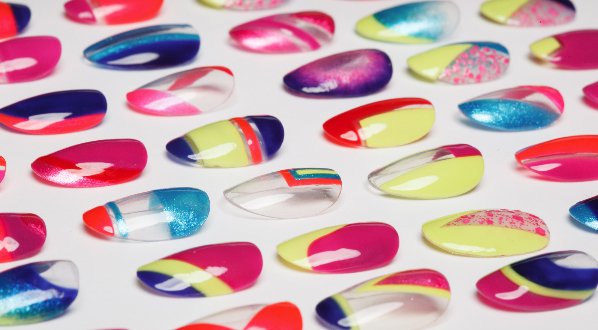 Really fun mani! Love the idea to use the matte tc! Looks great!! Ew! That frog is so gross. Good thing I'm more concerned about the beautiful mani.